PHA is the Physician Hospital Association which represents the 200 plus hospitals owned in part by physicians across the Country. It is critical that as a leader of a company that works with surgery centers, acute care hospitals and physician owned hospitals I know the issues facing each and the interaction between the players. At SMP we work with many different combinations of acute care facilities partnered with doctors in health care facilities including surgery centers, hospitals, clinics and ancillary service centers. I am proud to say that while there is competition between each of these organization models, the emphasis is on patient care and improvements in the health care delivery system in the United States. As a Board member of PHA, past Board member and current Legislative Committee member of ASCA I find that the more information I have on each organization and their mission I am better able to work on the different relationships we have at facilities managed by SMP. I know this perspective is valuable to our clients and invite you to follow SMP on Facebook where I will continue to update you and inform you on industry happenings, regulatory changes and best practices. CMS proposed several updates to ASC payments in the 2019 proposed payment rule, issued July 25. One of the key changes for ASCs would be to broaden the definition of device-intensive procedures, adding around 131 procedures for Medicare beneficiaries in the ASC setting. CMS proposed updating the definition of device-intensive procedures from procedures where the device is 40 percent of the overall cost to 30 percent of the overall cost for the procedure in the hospital outpatient department. 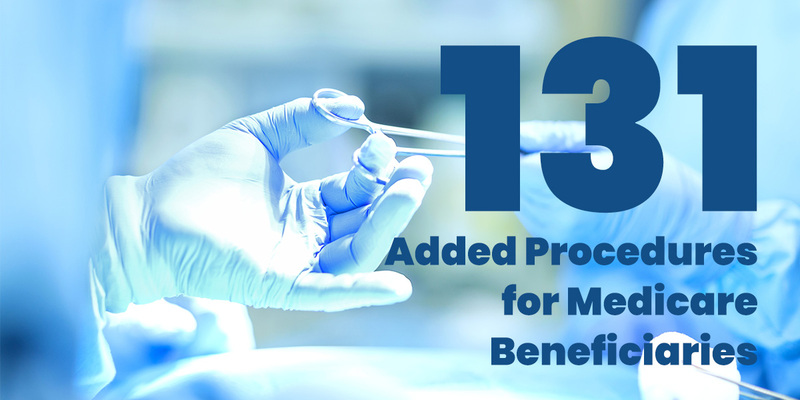 The lowered threshold is expected to make it economically possible for ASCs to be able to provide 131 device-intensive procedures to Medicare beneficiaries for the first time. “[This is] a policy change we have been advocating for over the past several years to encourage migration of these procedures into ASCs,” said ASCA CEO William Prentice in a Q&A posted on the organization’s website. The new definition of device-intensive would increase the number of device-intensive procedures that ASCs can afford to provide to Medicare beneficiaries from 154 to 285 procedures for 2019, if it appears in the final rule. Among the newly approved cases would be several cardiac procedures. The proposed payment rule would also revise the definition of “surgery” for ASC payments to include “surgery-like” procedures, which would add 12 cardiac catheterization procedures to the ASC list as well. The Senate last week passed a fiscal 2019 spending package, 85-7. It includes funding for the Departments of Defense, Labor, Education and HHS. More than 300 amendments were filed, with more than 50 adopted by unanimous consent into the final bill. (An amendment from Sen. Charles Grassley (R-IA) to allow Critical Access Hospitals to convert to freestanding outpatient and emergency departments was not included). Under the new legislation, which now heads to the House, HHS would see a $2.3 billion boost, including a 5.4% increase for the National Institutes of Health, under the bill. Also included, was a provision that gives $1 million to HHS to implement regulations requiring drug companies to list their prices in TV ads. Surgical Management Professionals Board Chair R. Blake Curd, MD is very active on Capitol Hill and works hard to support positive health care legislation. Mike Lipomi, Surgical Management Professional CEO, serves on the ASCA Legislative Committee and in addition to supporting positive health care legislation is able to keep the SMP centers up to date and in tune with future legislation. We’ve been alerted the new KHN/USA Today story is slated for release this Thursday, August 9. Similar to the story several months ago, we expect authors to cite tragic anecdotal stories to mischaracterize ASC patient safety and quality reporting mechanisms. 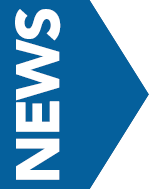 ASCA has posted data resources and messaging, and will provide updated information to members, partners and other stakeholders once the story is released. In the meantime, please let me know if you have questions. 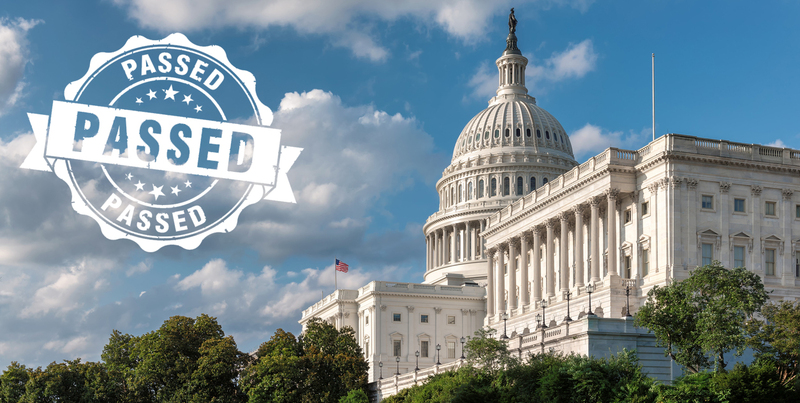 On June 24, the US House of Representatives passed the Ambulatory Surgical Center (ASC) Payment Transparency Act of 2018 (H.R. 6138)—a major development for ASCA’s agenda. The legislation would add an ASC industry representative to the Centers for Medicare & Medicaid Services’ (CMS) Advisory Panel on Hospital Outpatient Payment, which helps determine payment policies for both hospital outpatient departments and ASCs. The bill would also require CMS to disclose the criteria it uses to exclude procedures from the ASC Medicare procedures list. The next step for this bill is introduction in the US Senate.